Think your taxes are too high? There is one tax you can appeal in Missouri…the property tax. Our firm represents clients in several states each year to reduce their property tax burden. While most other taxes are strictly imposed upon taxpayers, Missouri provides for an appeal procedure when property owners believe their county assessor has excessively valued their real or personal property. This article seeks to provide a summary of Missouri’s property tax and the process for challenging it. Property taxes provide a major source of revenue for most local governments in Missouri. The Missouri State Tax Commission reports our Missouri “property tax burden” was $7,019,630,182.00 in 2015. The Tax Foundation, one of the nation’s leading independent tax policy organizations; reports that Missouri property taxes comprise 30.2% of all state and local tax revenues (37.7% sales tax; 24.3% income tax; 1.4% corporate tax; and 6.3% other). Because of its importance, the property tax gives local taxpayers an indirect measure of control over local governments. Some of the local public services that receive direct benefit from property taxes are schools, police and fire protection and local roads. While some people argue the tax is paid only by the rich and those who own property, the fact is everyone pays the tax directly or indirectly. For example, tenants who rent real property pay the tax indirectly through their monthly lease installments to property owners. Still other citizens pay property tax on personal property when they title or license their vehicles, mobile homes, boats and other recreational vehicles. Regardless of whether you think the process is perfect or not, the assignment of real property value is almost universally calculated using three approaches to value: (1) the income approach; (2) the cost approach; and (3) the market or comparable sales approach. Once a fair or true market value is determined using one or more of the aforementioned approaches to value, each property is then assessed according to its type and classification (e.g., 19% Residential; 12% Agriculture; and 32% commercial and all other). The resulting assessed value is then multiplied by the tax rate to determine the final tax to be levied against the property owner. For illustration, a private family home valued at $100,000 in a county with a tax rate of 7% would pay $100,000 * 19% * 7% = $1,330.00 in property taxes by December 31st. Those property owners who escrow their property taxes annually would not write the tax payment check themselves but would rely upon the lender or escrow agent to make the payment annually. Personal property tax is less involved for private parties but can be terribly involved for commercial businesses. Each year, the assessor sends out blank assessment forms. It is the taxpayer’s responsibility to complete the form and return it timely by March 1 listing all the taxable personal property owned on January 1. To that end, if your value is too high, you likely misreported. If the taxpayer is late returning the assessment list, Missouri statutes require a penalty ranging from $10 to $100 depending on the amount of assessed value involved. The appeal process for real property or personal property has three stages. At any of the stages, the county assessor and the taxpayer can settle their dispute. First, a taxpayer appeals the valuation to his/her county assessor. In those meetings, the parties often seek to confirm that information used by the assessor was accurate such as the size, age and condition of the property for real property appeals and location and value for personal property appeals. If the parties are unable to resolve their dispute, the taxpayer may then appeal to the county’s Board of Equalization (BOE). In Missouri, those panels are comprised of community members who are appointed by County executives for three-year terms. If the BOE refuses to find in favor of the taxpayer, the matter may then be appealed to the State Tax Commission at which point the matter takes on the appearance of traditional litigation with attorneys, discovery, and court rules. If you believe your property taxes are excessive, you should speak with an attorney experienced in the appeals process. The valuation of real property is often an educated guess and can be challenged. While the process of appealing property taxes can be daunting, the reward can be well worth the time if you win. 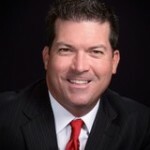 Todd Miller is the Senior Partner with the Law Office of Todd Miller, LLC in Jefferson City, Missouri www.toddmillerlaw.com (573) 634-2838. Mr. Miller earned his juris doctorate from the University of Missouri School of Law in 1999. He is currently nominated for Advisor of the Year by GolfInc. Magazine. He is ranked a Superb Attorney with a “10” rating by AVVO and annually receives the Client Distinction Award by Lawyers.com. He was recognized as Golf Tax Consultant of the Year by Boardroom Magazine three times and candidate for the “10 Best” attorneys for the State of Missouri by the American Institute of Family Law Attorneys and “10 Best” attorneys for the State of Missouri by the American Institute of Criminal Law Attorneys. He writes and lectures on various legal topics and you may find him on Facebook, Google+, LinkedIn, and Twitter. I am being charged personal property tax for a mobile home in a park in Jefferson county Missouri that I rented? Is this legal? You must appeal your property taxes timely even when the local assessor wrongly presumes you own an item. Good luck.